I sincerely hope everyone is doing well and looking forward to 2017. We have had a very busy 2016 in our real estate market and I have a lot of real estate information to share with you. I can confidently say that all three of our market areas, Mexico Beach, Port St Joe, and Cape San Blas are continuing to trend upwards. Each of these areas have similar market trends and tendencies but there are differences that require further analysis. In this email I would like to concentrate on the Mexico Beach market, I will follow up with recaps for Cape San Blas and Port St Joe. 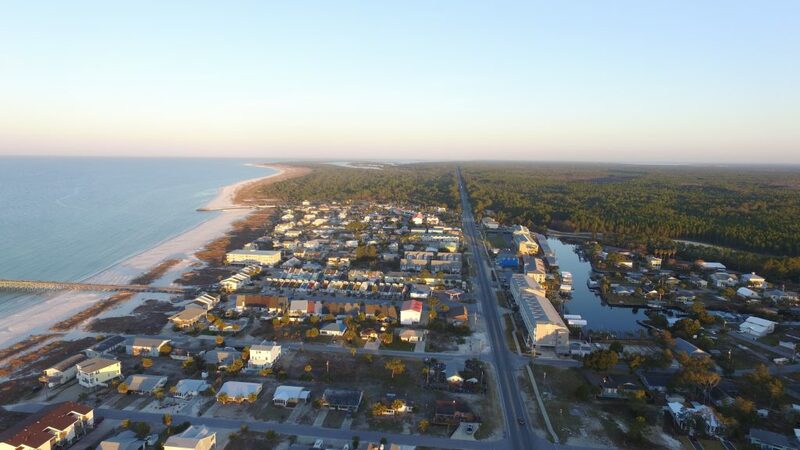 The Mexico Beach market, which includes St. Joe Beach, Beacon Hill, and WindMark Beach had a big year with sales over $65 million reported on MLS. That’s more than $16 million in sales volume above any year since 2005! There’s no doubt that the Mexico Beach area along with Cape San Blas are getting more and more popular as family friendly vacation destinations. Interest in purchasing has gone hand in hand with people wanting to vacation here with both rental and sales numbers going up once again. I’m entering my 13th year and can say this market is doing the best that I’ve seen it in my career. Out of the 3 markets I cover, the Mexico Beach area had by far the most sales with 298 closed transactions. 298 sales are the 2nd highest ever reported, behind only 2004 when 345 properties sold. 181 homes sold in 2015 and 181 in 2016, which makes these the two years with the most home sales in the history of this market. That’s correct, more than the price boom days of 2003-2005. The average sales prices of both homes and vacant lots also enjoyed nice increases in 2016. The average price of a home has now steadily increased for the last 6 years and was $258,767 in 2016. The $29,631 increase from 2015 to 2016 is the largest year to year increase since 2004 to 2005. There were 116 vacant lot sales with the average price increasing from $68,189 to $99,128. (In calculating average selling prices, I excluded two larger development parcels that sold for $2,200,000 and $3,800,000.) 116 sales ranks 3rd all-time behind 122 sales in 2003 and 183 in 2004. With the exception of a handful of beachfront lots and lots with unobstructed views, we didn’t necessarily see individual lots selling for that much more than they did in 2015. What we did see was buyers decide this was the year to purchase the higher value lots, which are those closer to the beach. The majority of reasonably priced gulf view and waterfront lots on the market sold in 2016. There were 34 lot sales over $100K in 2016 vs only 15 in 2015 and 26 sales over $150K vs 6 in 2015. On the flipside, the prices have barely moved further from the beach and you can still get a very good deal with 46 lots listed under $60K. With this many lots still available, buyers have not had to start paying more. Many of these buyers in 2016 were able to purchase for the same or less than in 2015. This has been true for both lots and houses further from the water. Additionally, new spec houses added to the competition in 2016 hurting older existing homes and helped hold down values. At least 95% of the non gulf view homes have stayed under $300K. Here are 14 brand new “spec” houses that sold for $304K or less. The number of existing homes and lots on the market further from the beach has also gone down significantly. 2017 may finally see a shortage in lower priced properties available and lead to an increase in values for the properties further from the beach.The properties seeing the biggest increases over the last 2 years are the higher-end/more limited properties. In general, this has meant those on the beach or close to the beach. There are obviously a lot less of these properties that exist compared to the number of properties further from the water. The number of these properties close to the water that are on the market is very scarce. I’m going to give some examples of common types of properties we have been finding for buyers the last few years and how few are left. Want a beach front single family home in Mexico Beach? Not one on the market. Beach front lot in Mexico Beach? None available. Canal front lot? Zero. Canal front single family home? Two. Beachfront condo or townhouse? Only 5 to choose from SJB or MB. Gulf view lot from Mexico Beach to St. Joe Beach under $200K? Only these 4 left . Gulf view single family home under $350K? Two left. 3BR Gulf view condo or townhouse? Down to 6 left. There are 6 single family beachfront homes on the market from Beacon Hill to WindMark. We saw, by far, the highest sale of a lot in many years when a 80 foot wide beachfront lot sold in December for $575,000. Sales in the past 5 years have been in the $240K to $410K range. There was also a condo that sold for $520K while the previous high sale in the last 8 years has been $410K. These buyers both paid what it took to buy a property like they wanted. More situations like this could lead to larger price increases. There is also a shortage of gulf view lots, gulf view condos, townhouses and every property type that is close to the beach. These are seeing nice appreciation due to limited supply. If you’re considering selling one of these types of properties, you may be pleasantly surprised with the value, and I’d be happy to give you a free, no obligation valuation. Who’s purchasing? 98 Real Estate dominated the Mexico Beach/St. Joe Beach/WindMark market for the 4th year in a row. We sold 105 properties totaling over $33 million in MLS sales production for this market alone. That was almost 2 times more than our nearest competitor. I decided to take this opportunity to survey our agents and merge their results with my own to try and come up with a synopsis about who is buying here and what are their intentions. When it comes to homes, less than 20% of the buyers we worked with bought these homes to be their primary residences. The remaining 80% were closely split between 2nd home purchasers with no intent to rent and those that bought with the intent to use the homes as vacation rentals. We also broke down the vacant lots that we sold. Approximately 50% of the buyers planned to build right away or at least within 2 years or less. The others were split between people buying to build further down the road, usually closer to retirement, and then those buying strictly as an investment. Where are the buyers from? Once again, Georgia buyers were the large majority. We are continuing to see some buyers from Alabama and an increase in the number of Tennessee buyers. We also get a smaller number of buyers from other areas in the Southeast. These go along with our snowbird purchasers as well as locals that are purchasing additional properties, usually for investment. The average seller sold for 92% of their listing price. The average days on market is down to 135, the lowest in 11 years. Once again, we had a strong percentage of cash buyers. 132 out of the 298 sales were cash transactions. The 98 Real Estate Group team has grown to 15 agents and 1 amazing office manager, Kristy Lee. Bonita Thompson, Regina Gossett, and Grant Terry each finished at Top 10 agents for this market. I was able to have my best year with over $21 million in sales and as the #1 agent now for the 3rd time in the last 4 years. Our company also had by far it’s best year selling over $50 Million and trumping last year’s total of $33 million which was our previous best year. We pride ourselves on being the best company in the area and do everything we can to give buyers and sellers the best opportunities possible. We love our new office on the corner of 33rd St. and Hwy 98 in Mexico Beach. This office finished #1 out of 76 individual offices reporting sales on MLS. Thank you again to everyone that trusts us with your buying and selling in our little paradise. We will have a brand new state of the art website up and running next week and encourage you to give www.98realestategroup.com a visit for the most informative and enjoyable real estate available. Don’t forget the Mexico Beach Gumbo Festival is Saturday, February 18. Make sure to come early before the gumbo is gone.